Theodor Herzl said that if you will it, it is no dream. What our Earth looks like in the next yovel, or jubilee, year will not happen by accident. Whether our Earth continues to heat up or whether we stem the tide isn’t predetermined — it’s actually up to us. While our present is what we make of it, our future, as Herzl taught us, will be what we make it to be. By our next yovel, if we choose, we can let climate change become the biggest problem ever faced in human history, or we can deal with it and assign it to the dustbin of history. The choice is ours. Of course, before we can observe yovel we have to calculate when it will be, and that’s not as simple a task as one may think. Although shmita has been observed in varying degrees, yovel has been largely ignored, in part because there are different opinions for when it occurs. While the Torah seems to clearly stipulate that it’s the 50th year following seven cycles of seven years, there’s no consensus among rabbinic scholars as to when that is. In post-Temple times the most-widely accepted opinion has been that of Rabbi Yehuda, who said that the yovel year overlaps two cycles — that yovel is both the 50th year of the past yovel cycle as well as the first year of the next yovel and shmita cycles (Arachin 12b). But there’s also the question of when we start counting cycles — there’s at least a half-dozen opinions. For example, some hold that we count from the first yovel after Joshua led Jews into the Promised Land; others hold that we count from when Ezra and Nehemiah led Jews back to Jerusalem from Babylonia. But if we count according to Rabbi Yehuda and beginning with the first seven complete shmita cycles to take place after the founding of the modern state of Israel, then the last yovel — following shmita years that began in 1958, 1965, 1972, 1979, 1986, 1993 and 2000 — began in 2001, or the same year that yovel would have been if we counted from the time of Ezra and Nehemiah. That also would mean that the next yovel will begin in 2050. We begin to take personal responsibility for our deteriorating planet. We cut our energy consumption by 14 percent. We eat less meat and more locally grown food. We take shorter showers. We start our own gardens. We drive less and bike, walk and take public transit more. We plant trees. And we tell our politicians that we want our governments to take action on climate change. Countries initiate cap-and-trade systems to limit the amount of greenhouse gases released into the atmosphere and incentivize the reduction of gases by reducing carbon licenses in subsequent years. Taxes from polluters are dedicated to funding public-transit projects. Municipal composting programs become as popular as municipal recycling programs, which in turn become as common as municipal trash programs. Meatless Mondays are adopted globally. All members of the United Nations agree to take action to thwart the worst of climate change, with wealthy countries helping developing countries transition toward environmental sustainability. Environmental education becomes part of the curriculum for all schools. And a billion new trees have been planted in the past shmita cycle. Sales of new cars with internal-combustion engines are prohibited; all new cars will be electric. With government incentives, algae-based fuel replaces conventional oil-based jet fuel. Large-scale power plants are phased out and small on-site power generation becomes common. Organic food-yielding gardens replace fertilizer-intensive and unproductive grass yards. Labeling laws require disclosing the amount of carbon emissions released through the production and transportation of products. Governments make manufacturers responsible for the lifecycle of their products. Prices of products start reflecting their true costs, including their costs to the environment. In cities, taking public transit becomes quicker and cheaper than driving. Compact-fluorescent bulbs are phased out in favor of LED bulbs, which can last 30 years and are four times more energy efficient than compact fluorescents. Fish trawling is prohibited. Fifty percent of our wastewater is recycled. 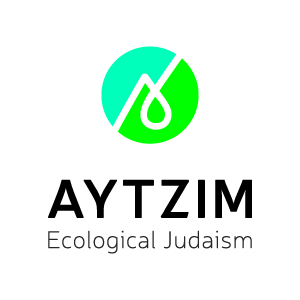 And 100 billion new trees have been planted in the past shmita cycle. The world’s last coal power plant has shut down. Cities embrace car-free neighborhoods and the majority of the world’s cars are carbon neutral. Urban air quality improves and asthma, cancer and pedestrian-death rates subsequently decline. Micro-electric generators convert movement and temperature differences into electricity. Meatless Mondays become Meatless Weekdays. Most food consumed is grown locally. Drip irrigation replaces conventional sprinklers and we stop growing water-intensive crops in arid and semi-arid areas. The remainder of the Amazon and other old-growth forests are preserved as national and international parks. And a trillion new trees have been planted in the past shmita cycle. The last country bans automobiles with internal-combustion engines from the road, relegating the remainder of carbon-spewing vehicles to be retrofitted or scrapped. High-speed rail lines are popular means of travel in countries around the world. Food-waste programs provide for the hungry. Most packaging is edible. Recycling, construction-reuse centers and landfill mining combine to nearly eliminate the need to harvest new raw materials. In developing countries, the repeal of religious birth-control prohibitions combines with increased wealth to tamp down global population growth, since higher-income families have fewer children. And 10 trillion new trees have been planted in the past shmita cycle. We’ve reached the tipping point: global carbon neutrality. All of our energy production comes from renewable sources, such as the sun, the wind of the heavens and the rush of the waters. Combined with advances in energy efficiency and an embrace of consuming only what we need, our carbon inputs equal our carbon outputs — we’re no longer increasing the amount of greenhouse gases in the atmosphere. The global cap-and-trade program is phased out in favor of strict limits on greenhouse-gas emissions. We recycle 99 percent of our non-agricultural fresh-water usage and 99 percent of our waste is reused, recycled or composted. Fish repopulate the oceans. And 100 trillion new trees have been planted in the past shmita cycle. We have entered into a new carbon-negative era. Our collective afforestation efforts, combined with our transition to renewable-energy production and greater energy-use efficiency, means that we are removing more greenhouse gases from the atmosphere than we are emitting. Being green is normal. It’s time to celebrate the jubilee: We have saved the Earth and all of us who call it home. And in so doing, we’ve created a new Eden for all humanity, in sync with each other, God and nature. It need not be just a dream. "Humankind was not created until the sixth day so that if pride should govern it could be said, 'Even the tiniest flea preceded you in creation.' "
The use of drip irrigation was pioneered in Israel.